S-GI High School offers a comprehensive academic program which is aligned with the NYS Learning Standards and Regents Plan. Advanced placement programs are offered in English, mathematics and social studies with independent advanced physics and chemistry classes. Instruction is provided in French and Spanish and the business education program is recognized for its innovations in information processing. There are a variety of occupational skills programs as well as a wide range of vocational courses offered through BOCES-operated programs. An alternative high school program which offers work/study situations is available for students who experience difficulty with the the traditional high school program. The guidance department works with students in monitoring progress, offers advisement in programs of study and course selections, and assists in the college search and application process. A full range of extracurricular activities including 18 interscholastic sports teams enrich the community and complement the school experience by stimulating student interest and developing personal talents. S-GI Middle School's small class size and team teaching approach offer a community for learning in a core curriculum consisting of reading, math, language arts, social studies and science. Additional exploratory courses are offered in computer, health, art, home and career skills, technology and general music. Students are offered the opportunity for a variety of extra curricular activities, intramurals and interscholastic competitive sports. All students take part in individual counseling in course selections for future success in high school. 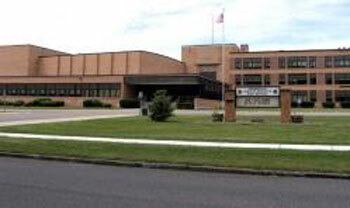 Springville Elementary is the larger of the two elementary schools within the district housing 759 students. A community atmosphere is created by parental support and involvement, innovative collaboration, small instructional classes, and a cohesive team approach. Educational programs are enhanced by curriculum initiatives, like Arts in Education, and the NYS Learning Standards. Students are offered exciting opportunities to explore aspects of education and the opportunity to grow as individuals in a safe, supportive community environment.